Private. In home dog training in San Antonio and surrounding areas. We staff Dog and Animal Behaviorists and certified canine specialists. We come to you and work with all breeds, any age, and every behavioral concern! Did you know that most dog training programs fail you and your dog because they never address the root cause of your dog’s problem behavior? Some trainers give you very plain techniques to stop barking or biting which is short term effective at best. Other trainers use outdated programs comprised of force and dominance techniques, that are proven not to work by the latest research. Unfortunately, many dog training companies also employ people with no certifications. This is dangerous because using the wrong techniques will lead to problem behaviors getting worse or even a bite in some cases. Does your dog turn into a snarling image of canine terror at the mere sight of another dog on a walk? Bark!Bark!Bark! Leash reactivity, barrier frustration/leash aggression and pulling on leash are some of the most common dog behavioral problems we can cover with in home training. Is your dog aggressive towards dogs or human aggressive? Snaps? Growls? Barrier frustration? Do you have multiple dogs in the home that are fighting with one another? Have you tried other trainers, but are still struggling with your dog’s aggressive behavior? As behavior modification specialists, we can help address your dog’s state of mind and change how he feels when he is feeling uncomfortable. Is your dog deaf or hard of hearing? Did you know that you don’t need to know sign language to help a hearing impaired dog? We use hand signals and tactile signals to teach obedience, so don’t have to have an unruly, deaf dog. Even with behavior issues, once we identify the motivation behind the negative behavior, we can teach you another way to ask for a better behavior using attention cues, visual cues and physical contact. To learn more about how we train deaf dogs, you can research Terrie Hayward, M.Ed., CSAT, CPDT-KA, ACDBC, KPA-CTP who has has written several behavior and training articles for Bark’s Magazine, Grooming Business, Deaf Dogs Rock, and KPA. We utilize the principles that she lays out for specifically working with deaf dogs. Sit. Stay. Down. Come. Heel. Walking politely. No jumping or pulling. A well-behaved dog starts with a well-trained owner. We can help you understand how your best friend learns and master the basics of dog obedience. We can help fix behavior challenges such as resource guarding, separation anxiety, fence fighting, fear issues, anxiety issues, jumping on people, counter surfing, chewing and destruction, barking problems, growling, snapping or biting. Are you having a hard time finding the right dog for your family? We can help the selection process by evaluating shelter and rescue dogs to see if the dog can be the right fit. We also can provide SAFER assessments that help determine temperament for landlords or apartment managers. The two biggest mistakes puppy owners make is: 1. that they over-socialize their new addition, which actually causes the puppy to feel overwhelmed and fearful. 2. they do not immediately start socializing the puppy between 8-12 weeks old, which can create a nervous and self conscious puppy. We start working with puppies at 8 weeks old because we know that the key socialization period is under 16 weeks old. Socialization is the most critical foundation you can provide your puppy. But in addition to that, our puppy training covers common puppy issues such as: soiling in the house, separation anxiety, chewing, stealing, digging, running away, guarding of food and toys, jumping up,fear of new things, fear of restraint and nipping. Our Fear Fear certified team can help your puppy grow into a happy and confident dog. bolted out the front door and wouldn’t come back? fought with another dog in your home? nipped or lunged at a neighbor or your child? barked nonstop at the window or with strangers in the home? suddenly regressed with house training? demand barked at you until you gave in? got into the trash or food on the counter? pulled you so hard on a walk that you fell? chewed through the door or wall? hurt themselves inside a crate? dug out from under the fence? Our In Home training packages allow our dog trainers an opportunity to work with you one-on-one and to observe your dog in it’s natural environment. When a trainer can observe the unique training challenges present in your home, we can offer techniques for conquering them in a much more efficient way, reducing your frustration with your dog’s lack of compliance. With personalized instruction, a trainer can create a custom curriculum that focuses on the behaviors that you consider most important. WE DO NOT ADVOCATE USING E-COLLARS, PRONG COLLARS OR PHYSICAL PUNISHMENT. 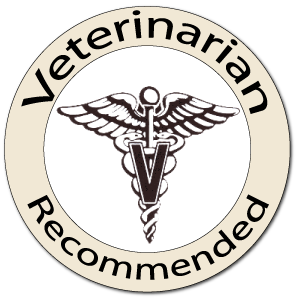 WE FOLLOW THE RECOMMENDATION OF THE AMERICAN VETERINARY SOCIETY OF ANIMAL BEHAVIOR FOR REWARD-BASED TRAINING. FOSTERS: Do you foster for a rescue? If your dog is a foster for a rescue, find out about the discounted training options and seminars we offer for local rescues and shelters. Are you struggling to find the time to train your dog or does your dog have a serious behavioral concern? Schedule your in home Consultation right now! Attend a group class with your dog. Teach your dog to pay attention, to be polite at home and courteous when out and about. What does Fear Free mean to you? Does your dog get stressed out going to the vet? Are there issues with grooming? We can help with that! By teaching dogs consent behaviors, such as a chin rest, we can help make routine exams, vaccinations, and husbandry care much less stressful for everyone involved. The goal is to limit the need for restraint by making any procedure that needs to be done as consensual, stress and FEAR free as possible. Ollie is one of our star clients with his chin rest! Before we started working with Ollie, he was a bit of a challenge at the vet, especially when it came to getting vaccinations. After only a few weeks into his training package, Ollie has demonstrated that he is ready to start practicing this new skill of his at an actual vet clinic. During our last in home session, we were able to start utilizing real needles and as you can see Ollie remained happy and relaxed the entire time!